What are Bush Flower Essences? Bush Flower Essences work on the mind, body and spirit, and are obtained by extracting the healing vibrational quality from the most evolved part of the plant – the flowers. They work on an emotional level, harmonizing negative feelings and belief patterns held in the subconscious mind. How are Bush Flower Essences prepared? Australian Bush Flower Essences are prepared by imprinting a flower’s unique vibrational healing signature onto a carrier solution of brandy and water. This is achieved by working with flowers, under ideal conditions, that are growing in the wild in an environment free from pollution, roads and power lines. These flowers are collected and without being touched directly by the individual, placed in a bowl of pure water and left in direct sun for several hours. The flowers are then removed from the bowl, using a twig or a leaf from the same plant. The remaining flower water is then added to an equal amount of brandy and this mixture is referred to as the Mother Tincture. The latter is further diluted to produce the stock concentration which in turn is also diluted in order to prepare the dosage strength. The Bush Flower Essences give us the sensitivity, strength and courage to listen to and follow both our intuition as well as our goals and dreams. How do Bush Flower Essences work? Bush Flower Essences bring forth the positive qualities that reside deep inside every one of us. Their activation allows us to replace fear with courage, hatred with love, insecurity with self-confidence, etc. 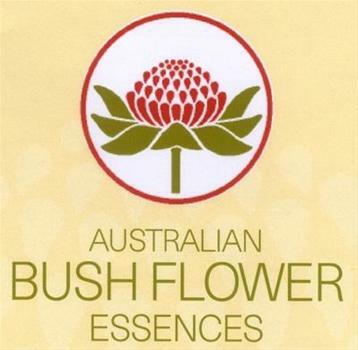 The Australian Bush Flower Essences are made from native Australian flowers and plants. When an Essence is ingested or absorbed through the skin, it is initially assimilated into the bloodstream. Then it settles midway between the circulatory and nervous systems. There, an electromagnetic current is created by the polarity of the two systems. The Essence then moves directly to the meridians, which are vital mechanisms of the interface between the subtle bodies and the physical body. From the meridians the Flower Essence is amplified out to the chakras and various subtle bodies and then back again to the physical body. The amplification also magnifies the life force potency of the Essence and aids in its assimilation. The Essence reaches the imbalanced parts of the body faster and in a more stable form. Are Australian Bush Flower Essences safe to take? 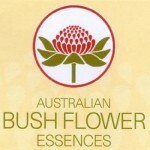 Australian Bush Flower Essences are completely natural. 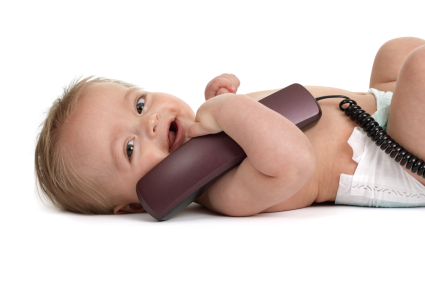 They are perfectly safe, free from side effects and are self-adjusting to the needs of the individual taking them. Occasionally the symptoms for which the person is taking the remedy can become more intense for a day or two. This is part of the healing process, and in fact, is called a ‘healing crisis.’ It is not a bad sign as it is indicative of the healing that will soon follow. In a ‘healing crisis’ we would recommend that an individual either stop the remedy for a day or two or alternatively take the remedy more frequently – four or five times a day. The Australian Bush Essences use brandy as a preservative agent, is there an alternative to brandy? Brandy is added to the Australian Bush Essences as a preservative agent, however, the alcohol content in a dose is almost undetectable. If you would prefer to not have brandy in your essences, they can be made with just purified water. However, if you are using purified water, it would be best to keep the bottle in a cool place or in the refrigerator. The shelf life would only be two weeks whereas with brandy it is at least three years. Can I take Bush Flower Essences when I am currently using other medication? Yes, Bush Flower Essences can be taken whilst under treatment with natural and/or pharmaceutical medications with no negative effects whatsoever. What if I selected and took the wrong Bush Flower Essence? The subtle energies of the essences will address current and presenting issues only, so there is no danger of taking the wrong essence. The remedies are self-adjusting and without side effects. If you did not need the benefit of the remedy then nothing would happen, it simply would not work. Can I use Australian Bush Flower Essences with children? Yes. Australian Bush Flower Essences are an effective drug-free solution for adults, children and even your pets. In fact, they work extremely quickly on children and animals as they do not have as many emotional blocks as adults generally do. We recommend the same dose for children as adults and animals as well, i.e. 7 drops on rising and retiring. It is far more effective to focus on just one issue and one dosage bottle at a time, otherwise, the results can be scattered due to the lack of one main focus to address. You can, however, use a remedy for a one-off acute situation whilst still taking another remedy over the standard two or four week period, e.g. Emergency Essence. Will food, drink or toothpaste harm the Essences? The Australian Bush Flower Essences are not ante-doted by strong aromatic substances such as toothpaste, coffee, garlic or Essential Oils. However, it is best advised to wait a few minutes before or after taking the remedy before eating or drinking anything (except water) as well as cleaning your teeth.